Fancy a trip to Jordan? An adventure to Petra which was in the Indiana Jones and the Last Crusade movie? The rose red city full of ancient tombs. It really is a very special place for exploring and this is what I got up to. I don't normally use travel agencies but in this case it was beneficial to have some of our trip organized by an agency because you get a free entry visa. 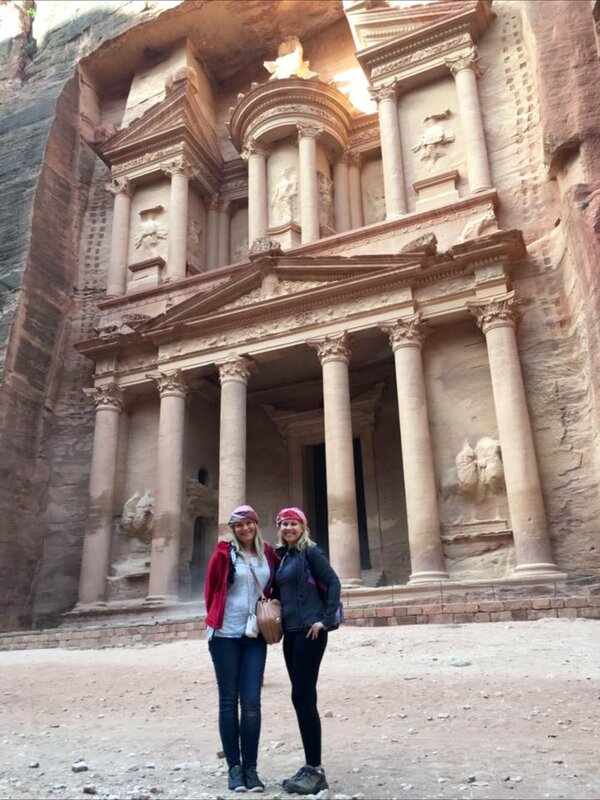 We used Jordan Tours who had someone to meet us at the airport to do our visa and a driver to drive us to Petra. We organized our own hotels and decided on our own itinerary and even added things on during our trip/paid as we went along. As we had our own private driver we could negotiate with him direct. On arrival at Petra we stayed at the Petra Movenpick for two nights. 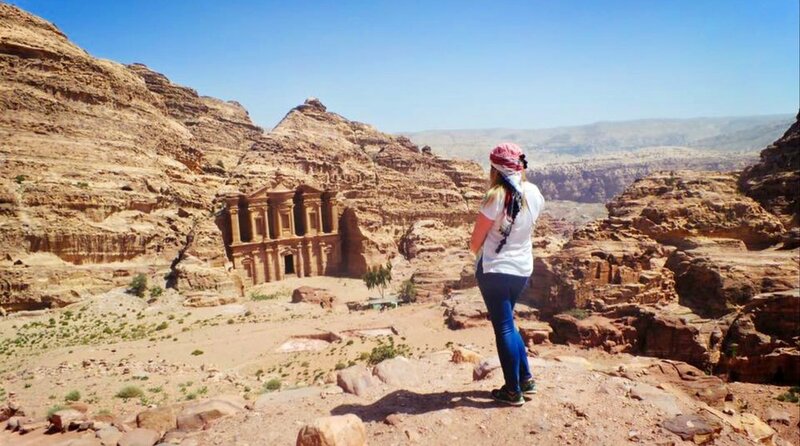 This hotel is perfect for exploring Petra as it is next to the Petra entrance. It is the nearest hotel. We did the Petra at Night tour where you literally walk out of the hotel and to the entrance and then walk to the library which takes a while but is fun because the way is lit by candles and there are a lot of people walking with you. There is something magical about the Library at night. You can see lots of stars and for a few minutes you can almost forget how many people are there with you. 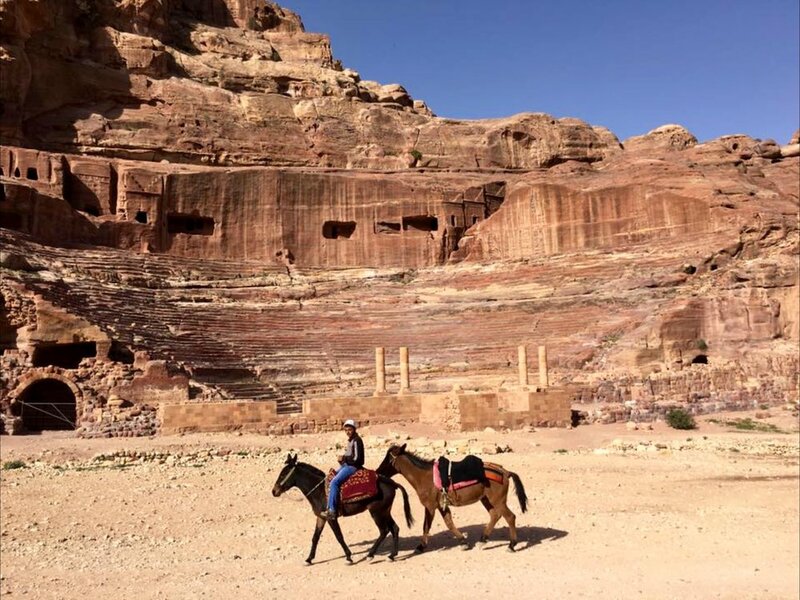 On our full day to explore Petra, we rode horses at the beginning of the trail to the Siq entrance. Hard to believe but that was the first time I had ever sat on a horse which was great entertainment for my friend. There are a couple of tourist shops at the entrance of the Siq so I went in and bought a Jordanian scarf and the owner of the shop kindly tied it on my head in the local style. It was fairly hot in March and you need a head cover if you are walking around in the sun all day. We had a guide who talked about the camel trading and people who had lived in Petra on our walk down the Siq to the Library. The Library is quite a majestic sight through the Siq. It is definitely worth paying for a guide because not only can he make the place come alive with history, he also knows all the places to be for the best photos! Petra is such a great place for photos, it has so many different colours of rock from rose gold to terracotta and the colours change during the day. After wandering with our guide for a while and a mint tea break, our guide left us to our own devices as we decided we wanted to walk all the 300 steps up to the Monastery. Walking towards the steps we found Roman ruins to explore called the Great Temple so had a detour. Totally recommend walking the steps up to the Monastery as you can take your time and there are ruins to see on the way up such as the Lion Triclinium. Besides why would you want to ride one of those overworked, tired donkeys when you can see wonderful views and get some great exercise? The views are really quite amazing, and you can take your time and enjoy them. There are also lots of local people selling trinkets and textiles on the steps. On arrival at the top we took lots of photos of the Monastery and then walked even higher up where there is a view point at the top of some rocks. Definitely worth making the extra effort to do this for the amazing views. The Monastery was my favourite thing at Petra, the walk up there, the views, it was great fun. There is also a cafÃ© in front of the Monastery so you can have a tea break and a much deserved rest. Once we had descended all the stairs, we felt quite tired so got a lift with a camel to the Library. 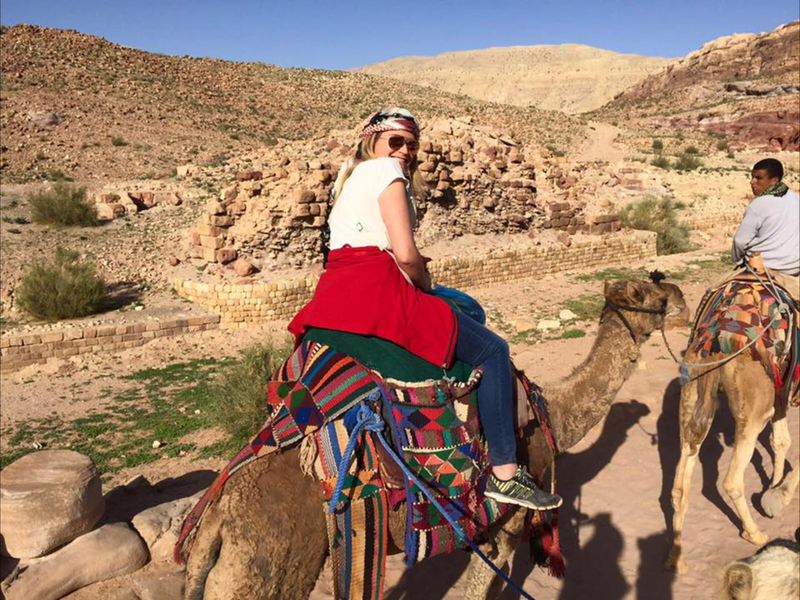 This is an experience in itself, riding a camel through Petra, something that people would have been doing a thousand years ago! At the Library you can get a lift on a horse and cart to the entrance but we decided to walk back to our hotel with a stop at the Cave Bar en route. From Petra we drove to the Movenpick Resort and Spa Dead Sea for some R&R and a two night stay. The Manager upgraded us to the adults only pool and jacuzzi access part of the resort which was just fabulous - thanks very much! Had fun here at the beach floating on the water and wearing the black dead sea clay. Can't say I really enjoyed the floating experience, it is quite a weird sensation but a tourist must do! 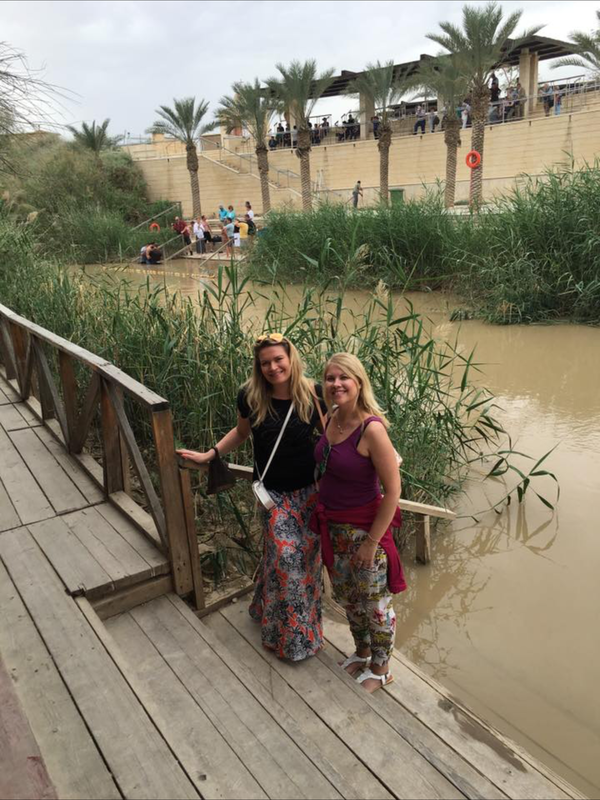 From here we visited the Jesus Baptism site at Bethany Beyond the Jordan. Very interesting, and when you walk down to the river you will be told by the army not to speak to people on the other side as that is Israel. You can watch people being baptized in the river and singing on the other side which happens to be around 200 metres away. We then did a stop in Madaba which is a Christian town and had lunch. 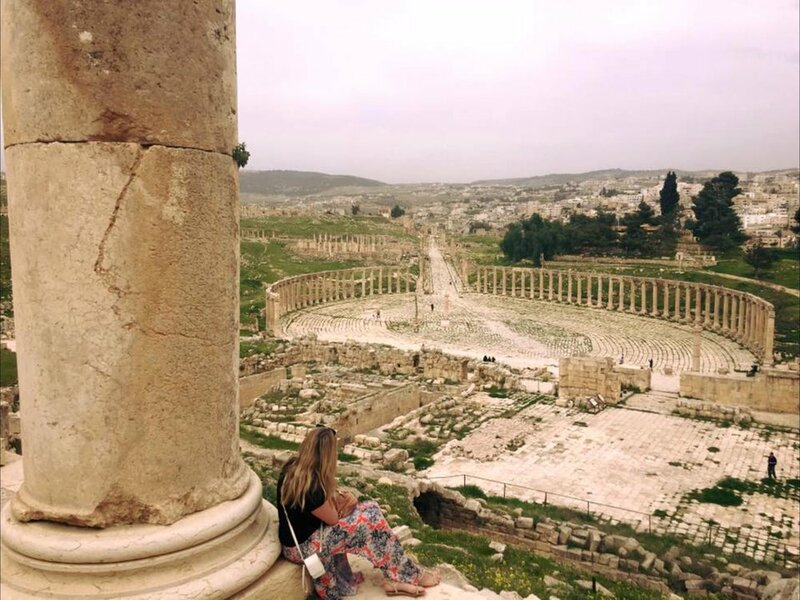 We decided to visit Jerash on our way back to Amman Airport. So glad we did that as it really is a most impressive Roman ruin area. Takes quite a while to walk round because it is just so large. You can really get a feel of the Roman city and I think my favourite thing was the Theatre which has some well preserved features and you can climb to the top. On arrival at Amman didn't really have much time to look around but our driver did his best to let us see the Citadel and Roman Amphitheater. Absolutely loved our trip to Jordan. Everyone was just so kind to us and really friendly. Felt very well looked after and the Jordanian food was great. Thanks to our driver Wael who really helped to make our trip wonderful!